Nawaz Sharif's daughter Maryam was also convicted and sentenced to seven years in prison. Pakistan's anti-corruption court on Friday convicted ousted Prime Minister Nawaz Sharif in absentia and sentenced him to 10 years in prison, in what seemed to be the end of a long and tumultuous political career of the three-time leader. 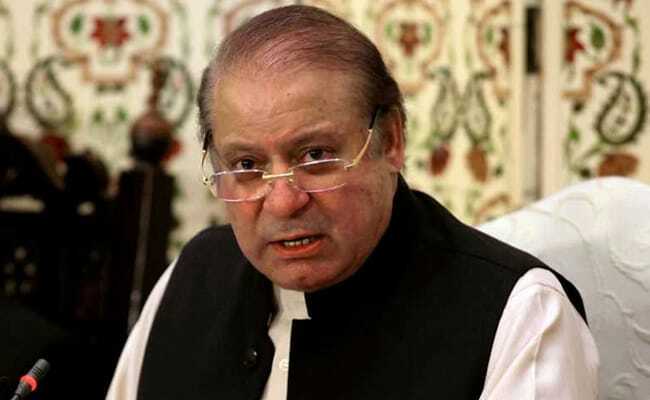 Sharif, 68, is in London with his daughter, Maryam, was convicted after failing to prove a legal source of income for buying several luxury flats in the 1990s. Maryam was also convicted and sentenced to seven years in prison. Sharif was disqualified from office last year by the Pakistan Supreme Court, which declared him "dishonest" for not disclosing a separate monthly income from a company owned by his son. 1976 - Enters politics, joining the Pakistan Muslim League (PML) after the Sharif family steel business was nationalised under the government of Zulfiqar Ali Bhutto, the beginning of a long political rivalry between the families. 1981 - Joins the Punjab provincial cabinet as finance minister, becoming Punjab's chief minister in 1985. The PML later split and Nawaz formed the Pakistan Muslim League-Nawaz (PML-N). 1990 - Elected prime minister for the first time. 1993 - Removed as prime minister by Pakistan's president. He is reinstated by Supreme Court but then resigns under pressure and his party loses elections to the Pakistan People's Party of Benazir Bhutto, daughter of Zulfiqar Bhutto. 1997- Elected prime minister for the second time. During his term, Pakistan successfully tests nuclear weapons in response to regional rival India's atomic programme. 1999 - Overthrown in a military coup by General Pervez Musharraf, the country's fourth army takeover since independence in 1947. After the coup, he was convicted of corruption and given a life sentence for hijacking over an incident when he ordered Musharraf's plane not to land in Islamabad. 2007 - Returns from exile to contest elections the next year as part of a political deal that ended Pervez Musharraf's military rule. 2013 - Elected prime minister for third time. The PML-N sweeps back to power in an election the gives its allies a solid National Assembly majority. April 4, 2016 - The leaked Panama Papers show involvement of Nawaz Sharif's family in offshore companies including two used to buy luxury homes in London. October 28, 2016 - Cricketer-turned-politician and PTI supremo Imran Khan threatens to paralyse the capital, Islamabad, with a "lockdown" of street protests unless demands for an independent investigation into the Panama revelations are met. Sharif denies any wrongdoing. November 2, 2016 - Pakistan Supreme Court agrees to set up a judicial commission to probe corruption allegations against Sharif, stemming from Panama Papers leaks. Imran Khan backs down from lockdown threat. July 28, 2017 - Pakistan Supreme Court declares Sharif disqualified from office for not declaring income from a company in United Arab Emirates, which was not in original Panama Papers revelations. The court also orders the National Accountability Bureau (NAB) to open a criminal trial into ownership of the London flats along with several other Panama Papers revelations. April 13, 2018 - The Pakistan Supreme Court further rules Sharif is banned from political office for life. July 6, 2018 - The NAB court convicts Nawaz Sharif of corruption and sentences him in absentia to 10 years in prison.